Reader’s Digest had it right. It’s the kind of medicine that doesn’t need a spoonful of sugar to get down. 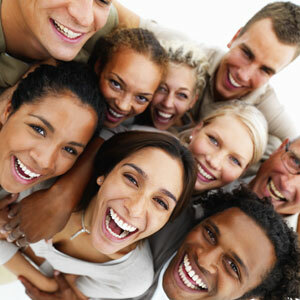 Laughter is great for you, not just for improving your mood, but for improving your body at the same time. It works by stimulating the pituitary gland, which then releases pain-suppressing opiates. Improves alertness, creativity, memory, and brain function. When you connect two un-related ideas or things, your brain works as a whole, according to William Fry, M.D., of Stanford University. Reduces stress hormones such as cortisol and adrenaline. Reducing cortisol can help you lose weight. Reducing adrenaline makes you feel calmer and can help to reduce stomach pain, headaches, etc. So let’s laugh. What makes you laugh? Share your favorite funny video, tell us your favorite funny movie, or how about a good joke? Previous Previous post: Nickel-and-Dimer Clients: How Do You Handle Them?